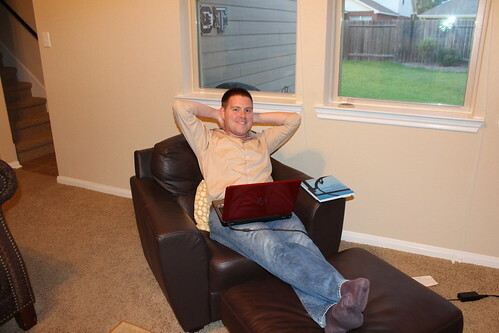 When I was a 1L in law school, Jeff quickly realized that I was spending a lot of time studying, and consequently, he was spending a lot of time sitting around the apartment being bored. For the first semester, he watched a lot of football and read all the college football blogs and websites, but when football season ended he needed something to do. 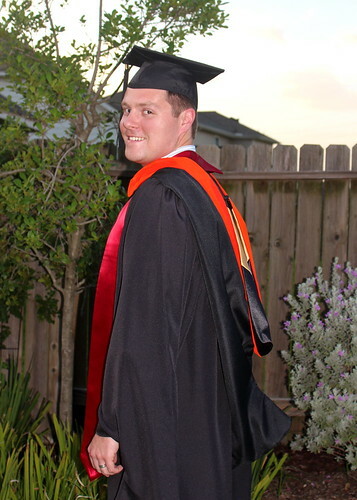 So he started working toward a Masters degree! 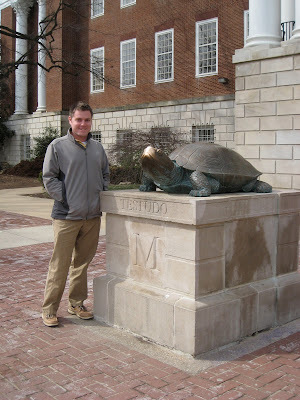 He enrolled at the University of Maryland for their Masters of Engineering in Project Management program (something that aligns really well with his work), and he’s been taking online classes, usually two per semester, for the past couple years. 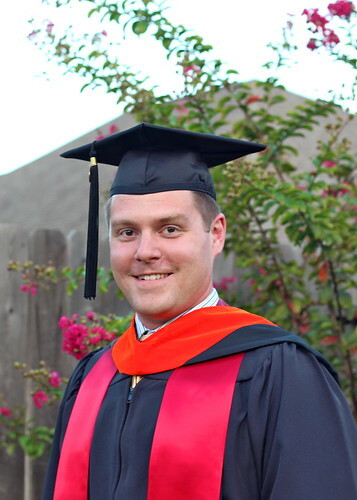 This summer, Jeff finished his last class and now he officially has a Masters degree! Here he is right after taking his last final! Jeff’s graduation ceremony isn’t until December (and we almost certainly won’t go to it, since it’s in Maryland and so close to Christmas, etc. 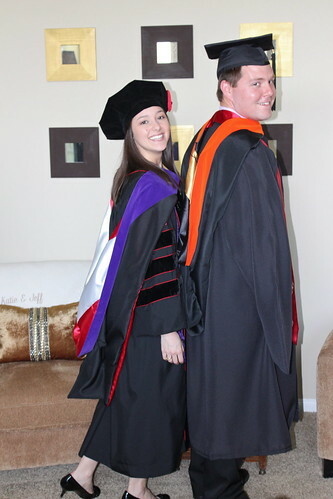 ), but we did go ahead and purchase his cap & gown so we could take some photos! 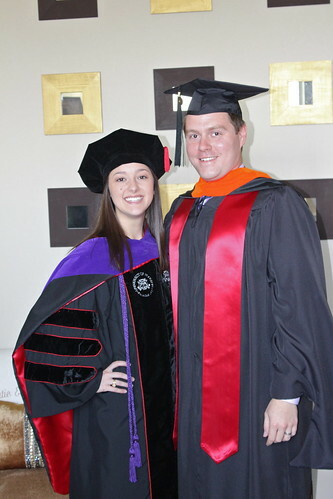 We even snuck a few photos back in May before he actually finished the degree so we could get pictures of both of us in our graduation regalia together. Hehe. Potential Christmas card photo? Haha! 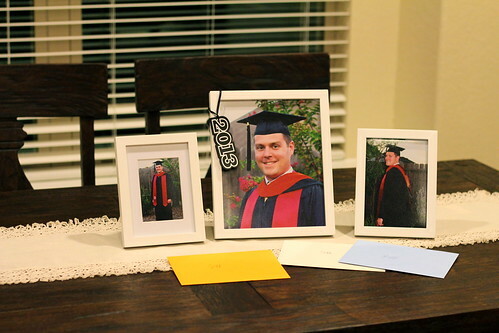 To celebrate, we had a graduation party for him at our house in August. I told Jeff to pick what I should cook, and I ended up making creamy green chile chicken enchiladas, Mexican rice, a spinach salad, margaritas, and strawberry shortcake cake. It was a casual sort of thing, just like my graduation party, but we had a great time celebrating Jeff’s accomplishments with our family. Jeff’s company reimbursed us at the end of each semester for all of his school costs, provided he made a B or better in each class, so he was able to do the whole thing totally for free, which we obviously loved. It all worked out really well, and we feel really thankful that we’ve both had the opportunity to achieve our dreams education-wise. We’re also really, really thankful that we’re finally done with school. I know… “never say never” or whatever, but neither of us have plans to get any more degrees and we’re quite content to finally just be DONE being students. We feel like we’re entering a new phase of our marriage (I guess technically it would be our DINKY phase, but to us it kind of feels more like just the “rest of our life” phase… haha), and we’re really excited about it. 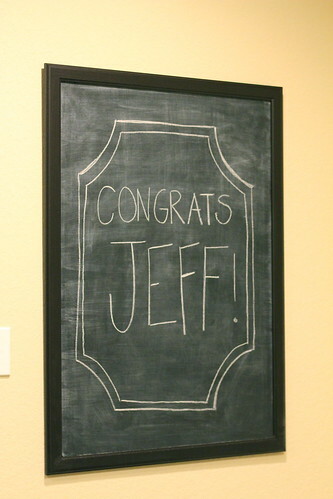 Congratulations, Jeff! I am so, so proud of you! 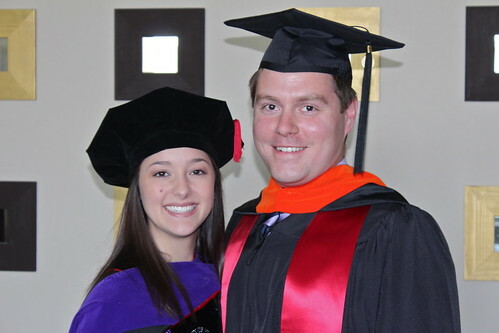 Congrats to Jeff! What a great opportunity for him and for y'all as a couple. Your earning potential is so high, haha. Yay!! 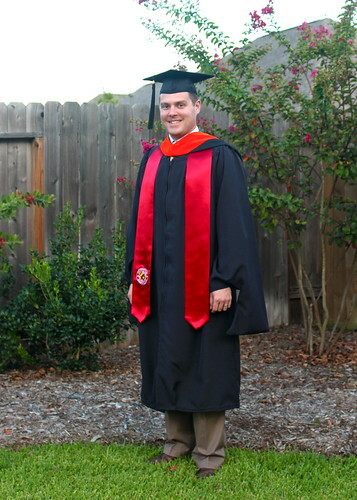 I bet finishing an online degree can feel kind of anti-climatic, but I love that you ordered his cap & gown and threw him a party to celebrate! P.S. That should definitely be a Christmas card photo!